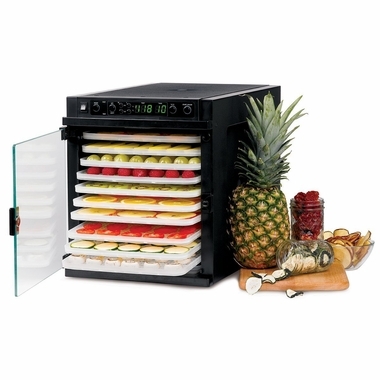 The Tribest Sedona Express 11 Tray Food dehydrator with BPA Free Trays incorporates many of the best features and functions of the incredibly successful Sedona Series dehydrators and packages them into a counter top footprint 30% less than the original series. 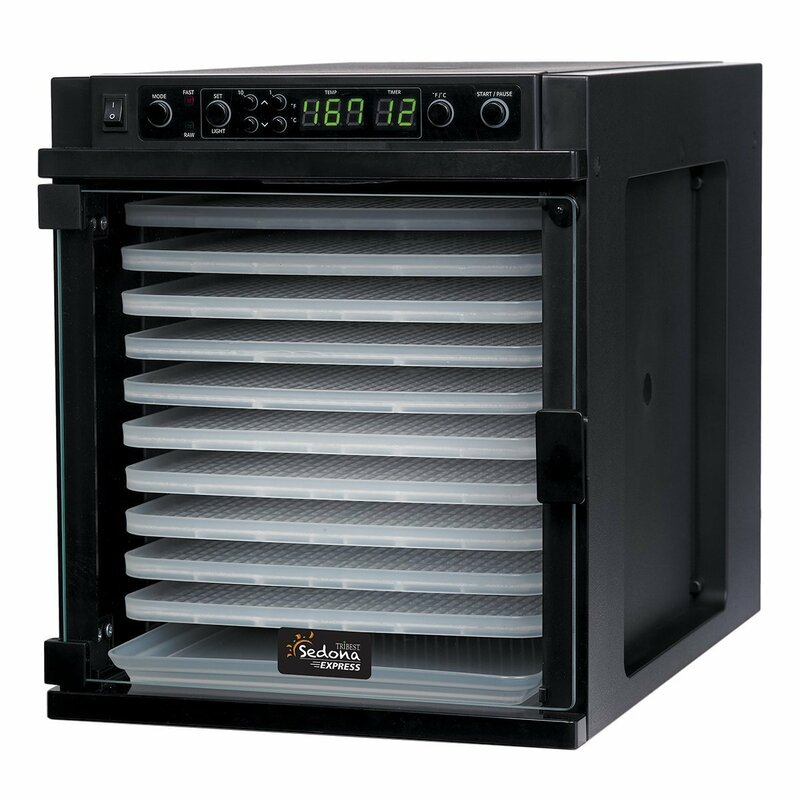 Tray count has been increased from 9 trays in the Sedona dehydrator to 11 Trays in the Express series. Capacity is Just over 1500 sq inches of drying space. 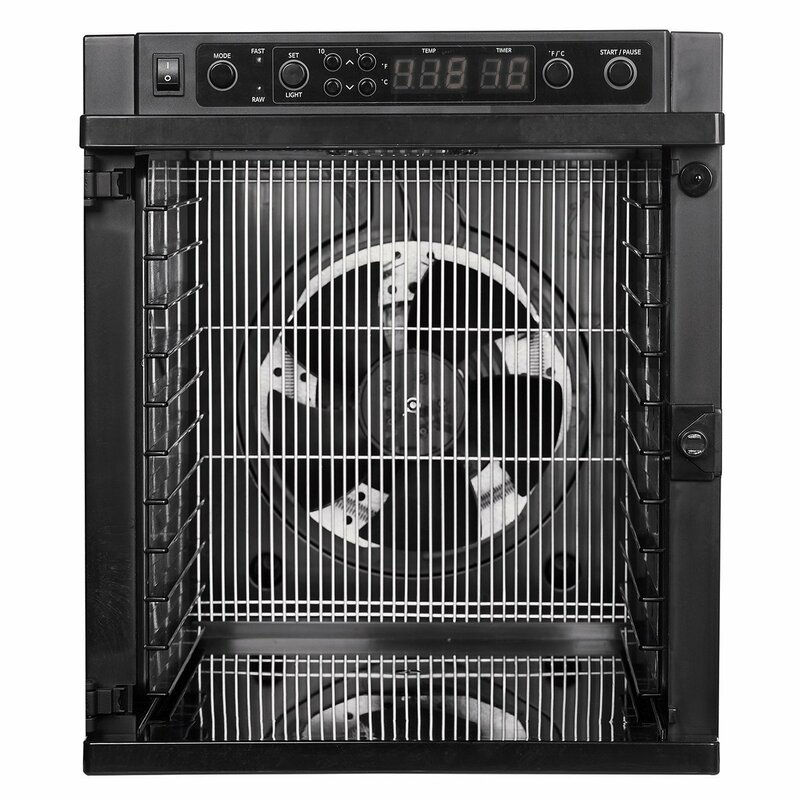 On top of that, the Express series includes a light that allows you to view the contents of the dehydrator during a drying cycle through the clear door without opening it, ensuring that the dehydrator continues to maintain its temperature consistently. The Tribest Sedona Express is the world's first full-featured digital dehydrator with a compact, kitchen-friendly design. The Tribest Sedona Dehydrator allows you to set the temperature and timer using its user-friendly all-digital controls; precision dehydration has never been so easy. Use all 11-trays with the advanced TST feature to get the best results for all your dehydrating needs. From fruits and vegetables, to meats and crackers, the Sedona's central fan ensures even airflow and rapid dehydration. Get all these features without sacrificing all the kitchen counter space. 11 BPA-Free Dehydrating Trays - Each tray measures 10" x 13"